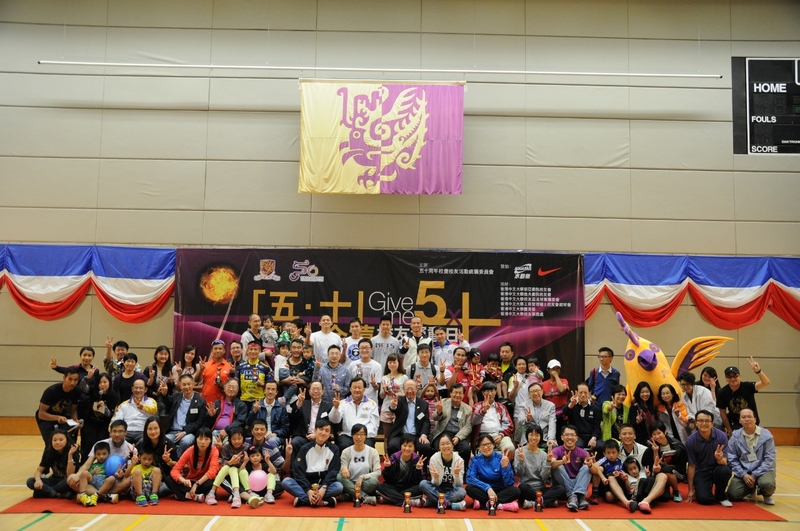 Organised by the CUHK 50th Anniversary Celebration Committee on Alumni Activities, “Give Me 5 x 10”Golden Jubilee Alumni Sports Day was successfully held on 27 October on CUHK campus. 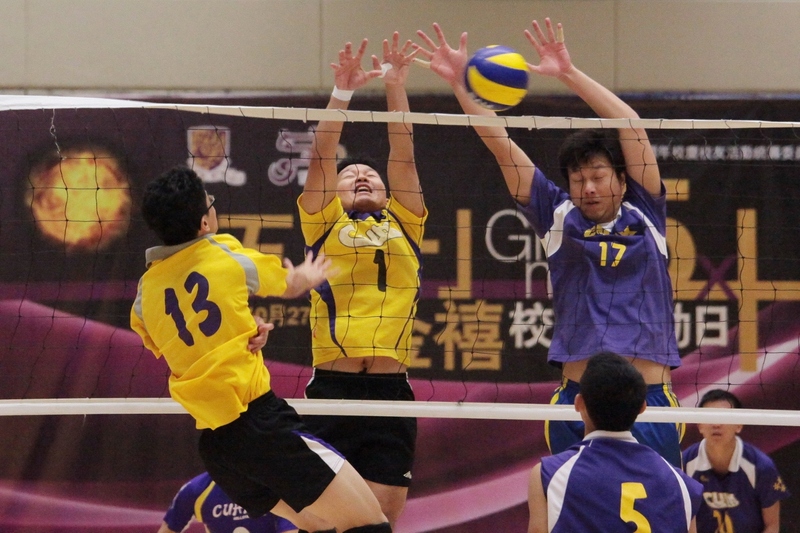 Various sports competitions, including basketball, soccer, tennis, badminton and table tennis were held. 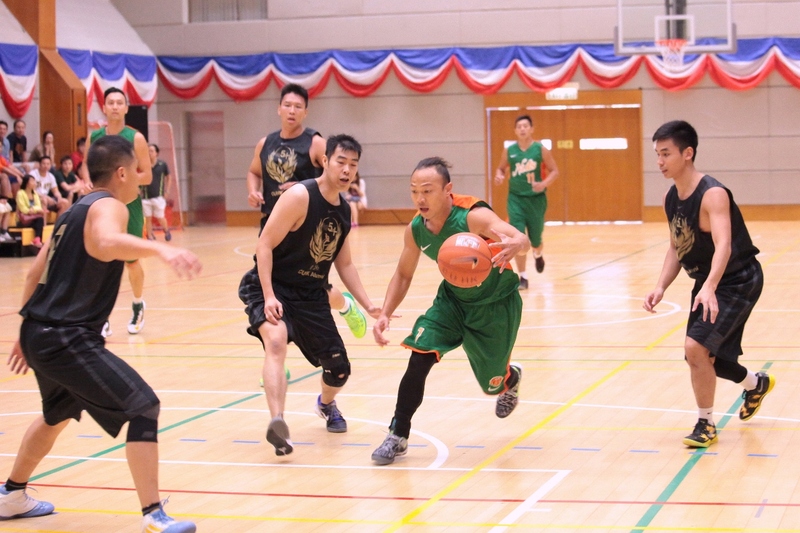 The Committee was glad to have invited the NUTS Basketball Star Team to play an exhibition game with CUHK Alumni Basketball team in which the alumni team enjoyed its home advantage to beat the opposing team NUTS. 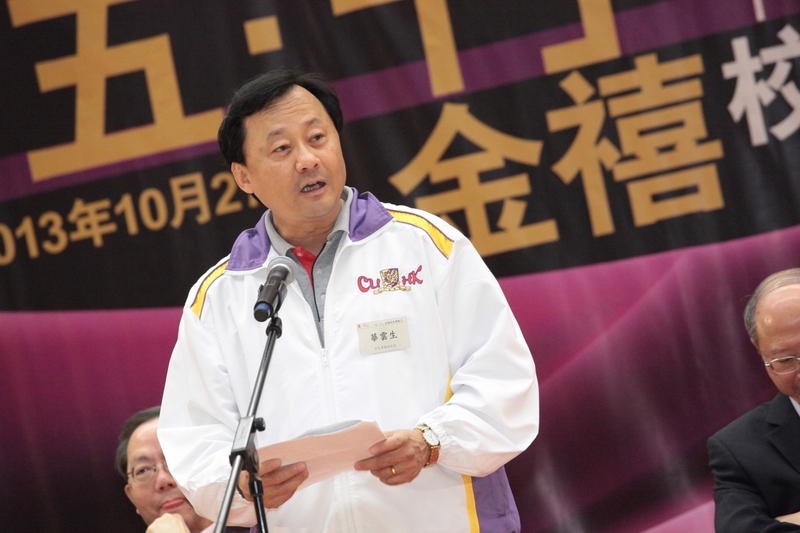 A prize presentation ceremony officiated by Prof. Benjamin Wah, Provost of CUHK was held right after the conclusion of the competitions. 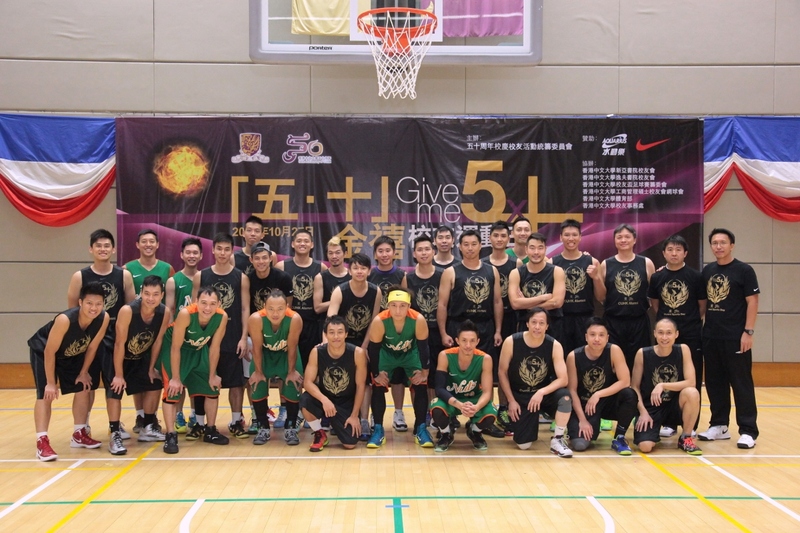 Mr Charles Leung, Chairman of the Committee also expressed his sincere gratitude to all the organizing and supporting units. 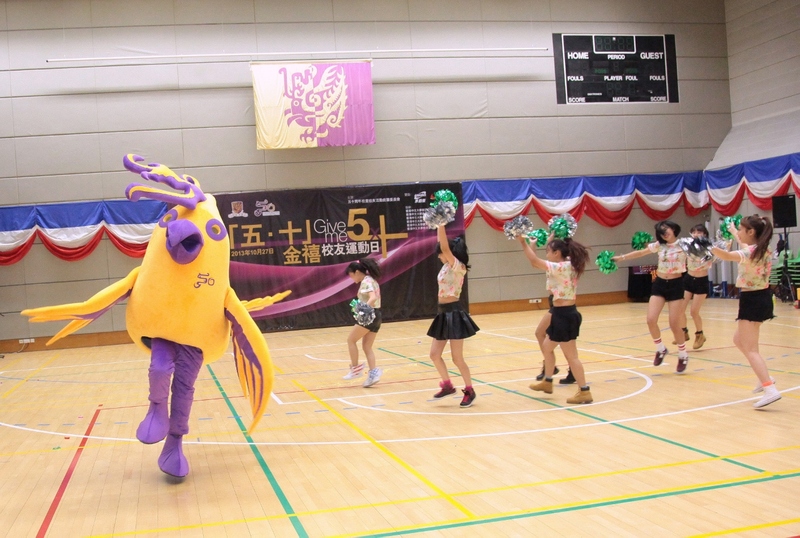 In addition to the marching band and dancing performances, Dr. Phoenix, the beloved mascot, also made his very first appearance in front of the guests and brought along enormous joy to the event.